Each Taber cruise is all inclusive. You'll receive the same unrivaled service no matter which one you choose. Indulge yourself over Memorial Day weekend! We’ll throw in a few extras for good measure – a $20 gift certificate to experience Rockland’s established restaurant scene for dinner the night we board, a selection of quality treats by Black Dinah Chocolatiers, and wines hand selected by Jane for you to enjoy each evening. 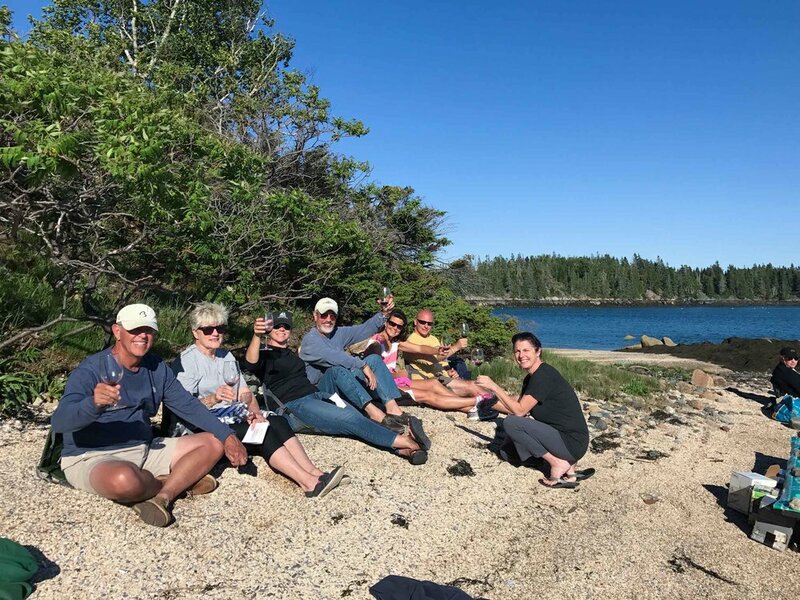 Enjoy your own private schooner for that special group outing or vacation – day sail, overnight, or multi-night cruise. Contact us for rates. 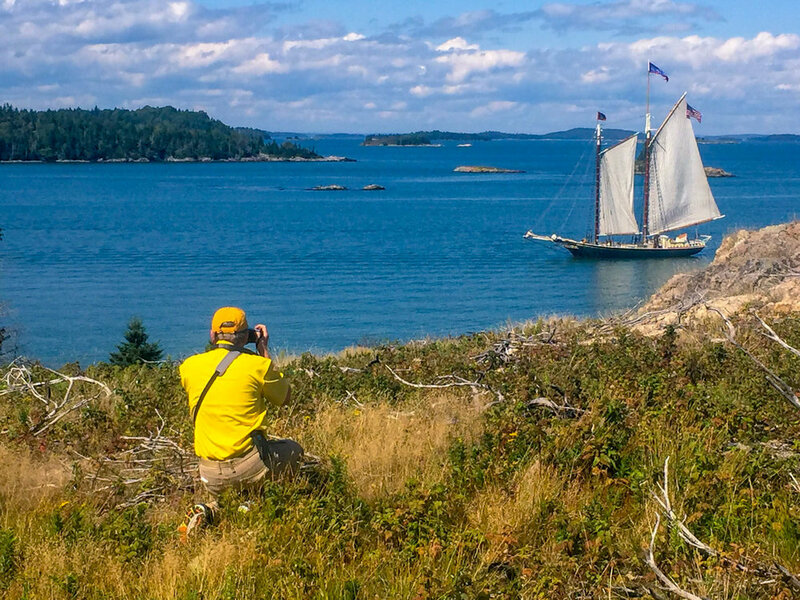 This cruise features a "gam," a festive gathering of Maine's magnificent schooner fleet to celebrate America's maritime heritage. By day we'll sail in company. Each evening, we'll raft up together and our onboard house band, the Charlie Nobles, will add an upbeat note of jazz, blues, and Americana to the air. If the idea of elevated comfort food and classic bistro fare has your mouth watering, then sail with Chef James Tranchemontagne. Owner of gastropub Frog and Turtle, Chef James will not only cook for us but also be on hand to discuss techniques, inspirations, and his passion for housemade charcuterie. 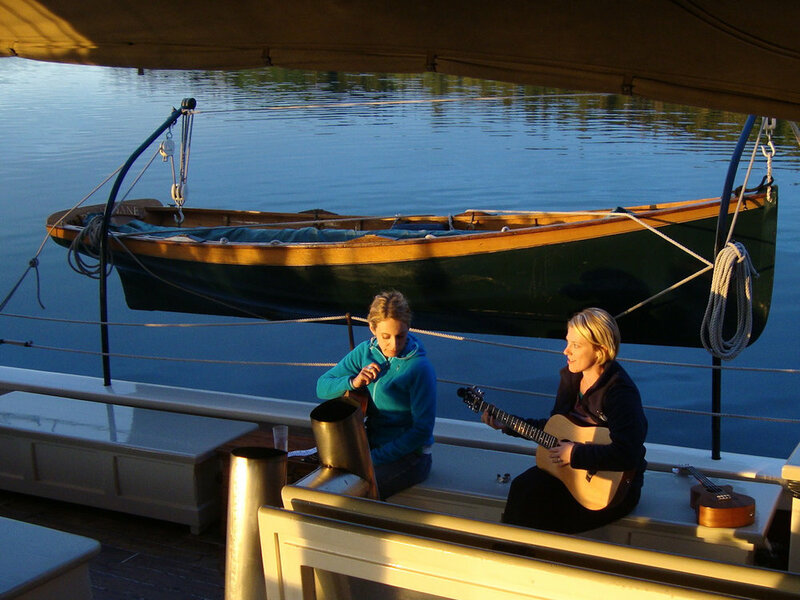 We’ll raft up each evening alongside sister ship Ladona to unwind with an informal yet intimate concert provided by Jenn Schott and Melissa Peirce. These two accomplished Nashville-based recording artists will be joined by the musically gifted captains of both ships. Our week of sailing will culminate in one of the most exciting days of the season. Known as North America’s largest annual gathering of tall ships, the Great Schooner Race attracts more than two dozen windjammers. The Taber looks to defend her title as 2017’s fastest ship. Sailing experience not necessary. Each day will culminate in a wine journey led by the talented Jane Barrett Barnes. We’ll visit a different country each evening with a wine tasting and a discussion of its varietals and viticultural history. The evening’s meal will include wine pairings which perfectly complement the menu that Jane and our chef have created. Book your group outing with us – reunion, retreat, educational excursion. Young Noah, just a handful of years ago. Captain Noah’s birthday is August 8, so we’ll spend the week, you guessed it, sailing to all of his favorite spots and indulging in all of his favorite eats. Then we’ll throw him in the harbor, a tradition as old as the sea that not even the captain can avoid. 5 nights (Mon–Sat) ‧ Email us or call 1-800-999-7352 for pricing. Experience Acadia National Park as so few often get to—by land and sea. This exclusive Acadia cruise is created in partnership with Down East Magazine. Award-winning photographer John L. Shipman will be on board to give informal classes. Whether you’re looking to hone your photography skills or learn the basics of good composition, you’ll have plenty of beautiful scenery to capture as we attempt to visit as many lighthouses as possible. Sailing in company with sister ship Ladona, each day will culminate in a wine journey led by the talented Jane Barrett Barnes. We’ll visit a different country each evening with a wine tasting and a discussion of its varietals and viticultural history. The evening’s meal will include wine pairings which perfectly complement the menu that Jane and our chef have created. If you’ve never seen the fiery landscape of Maine from the water, then you’re in for a treat. Coastal hardwoods begin to show in late September; by our last cruise, the hillsides are crimson, yellow, and orange. The weather is crisp, the breeze is strong, and we’ll have the entire bay to ourselves.